Say hola to our comprehensive travel insurance! Wherever you go in Spain, you're going to be absolutely enthralled. From captivating castles to energetic cities; luscious landscapes to food fit for royalty, there's lots to get excited about. 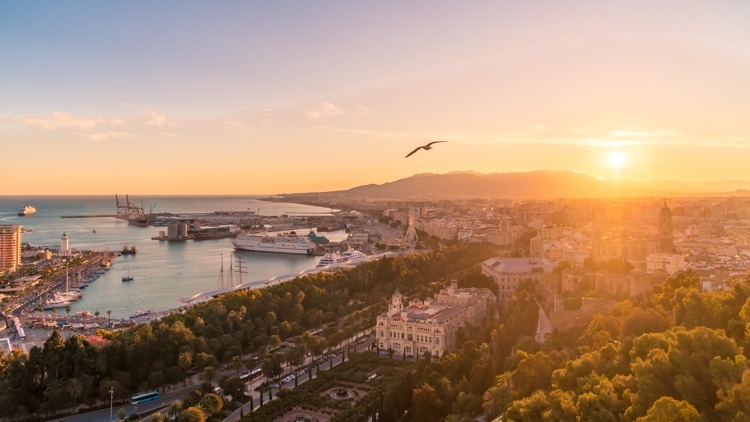 With a Mediterranean climate that feels summer-all-year round, photogenic sights aplenty throughout the country and citizens who know better than anyone how to have a good time, you can look forward to enjoying yourself to the full while you're here. Spain is made to savour and delight in; discover a feast for all the senses in this beautiful corner of Europe. Before jet-setting off to sunny Spain, be sure to take out some travel insurance to safeguard your trip. Of course, thinking about what could happen to you while you're on your holiday is more than a little difficult, but it's always wise to be prepared. Spanish medical care is considered amongst the best in the world, but you must have the correct medical cover when visiting the country. Most major cities have excellent medical facilities at hand, but in rural areas, access to medical care may be limited. And it's important to remember, in these parts of Spain, the language barrier may be an issue when it comes to receiving the care you need. So, it makes it even more important to properly protect yourself on your holiday to Spain with comprehensive travel insurance from Cover-More UK. What if I want to visit Spain more than once this year? Spain is very appealing; as such, it stands to reason that you would want to make more than one trip to its stunning shores. In fact, you probably never even wanted to leave in the first place. Now that we can understand. If you fancy yourself a frequent jetsetter, you’ll benefit greatly from annual trip cover. With Cover-More UK, you can choose between 30, 45 or 60 days per journey (with a maximum of 120 days travel in total). Spain awaits! What exactly is covered with our Spain travel insurance? From our cost-effective Economy Plan to our comprehensive Diamond Plan, you can relax knowing you have cover. Included in Spain travel insurance from Cover-More UK is overseas medical and dental coverage, as well as access to 24/7 emergency assistance. Lost your passport? Need urgent medical care on your holiday? Don’t worry, we’ll be there to help. Also, should you need to cancel your holiday, obtaining travel insurance with Cover-More means losing out is never an option. Terminating your trip within our 14-day cooling off period ensures that so long as you’re not making a claim and haven’t set off during that window, you’ll receive a full refund. How do I get a travel insurance quote for my trip to Spain? Uno, Dos, Tres: One free online quote – yes, it’s that easy!